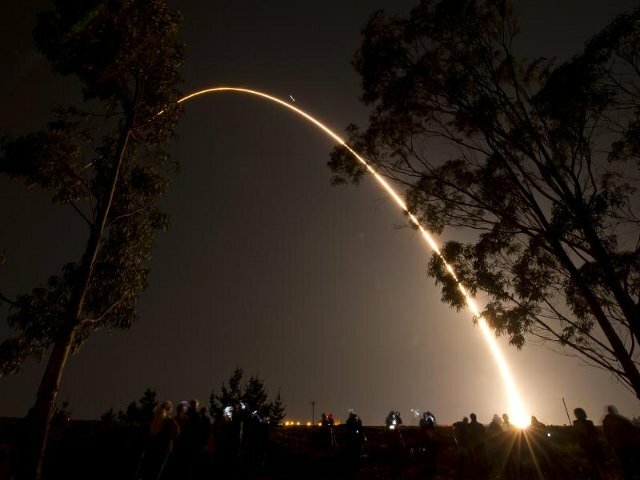 The launch team at Vandenberg Air Force Base sent a rocket into space early Friday morning that deployed NASA’s newest Earth-observing satellite. The minivan-sized craft, now perched 512 miles above the planet, is the first satellite designed to collect data for both short-term weather forecasting and long-term climate modeling. It ushers in a forthcoming array of Joint Polar Satellite System (JPSS) units with the same two-pronged mission that will eventually replace the space agency’s 12-year-old Earth Observing System (EOS). The JPSS is being developed in conjunction with the National Oceanic and Atmospheric Administration with the next satellite launch tentatively scheduled for 2016. Circling the globe from pole-to-pole 14 times a day, the new NPOESS Preparatory Project (NPP) satellite cost $1.5 billion to build and has a life expectancy of five years. It’s armed with five information-collecting sensors that will beam back around four terabytes of data each day on more than 30 different climate variables including land and ocean temperatures, ozone health, vegetation and ice cover, and pollution levels. Researchers will also use the NPP to track natural disasters like volcanic eruptions, floods, and fires. Thursday night’s launch of the Delta II rocket was the last launch this year at Vandenberg Air Force Base.